Members of an Austin CSA (Community Supported Agriculture) include an amazing chef and a talented fabric designer. 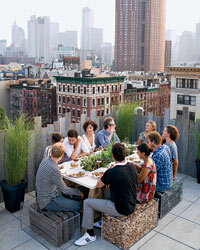 Here, their farm-fresh happy-hour party. Like many urban dwellers, I romanticize the rural and long to eat foods grown in organic soil. But I was nervous about signing on to a CSA, a program that connects city cooks with small local farms. Didn't some CSAs require volunteer hours and attendance at potluck dinners? Wouldn't I feel burdened by all those ingredients when I was too busy to cook? I soon found myself part of this community and even made some real-life friendsNancy Mims, for example. First, I learned through comments volleyed online that she and I share a passion for French lentils, fried chicken and anything topped with a poached egg. Then I fell in love with her company, Mod Green Pod, and the incredible wallpapers and upholstery fabrics she designs, featuring whimsical geometric swirls and butterfly silhouettes that almost seem to flutter on the walls. Eventually we formed, with Winslow, a "literary salon"a book club in which we discuss novels, drink cocktails and take turns cooking from our CSA crates. Chef James Holmes. Photo © Jody Horton. We aren't the only ones moving our CSA friendships offline. James Holmes, the chef at Austin's Olivia and a longtime Rain Lily customer, started throwing Farmhouse Delivery Happy Hours in the restaurant's outdoor dining area, serving drinks and small plates featuring the CSA's goods. "It's natural," Holmes says. "We set up a mini farm stand and use all of its great produce for a night." I now belong to a community stitched together by a passionate interest in local food. 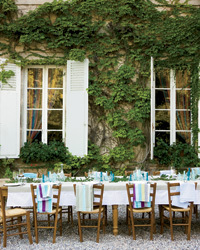 In fact, our book club recently teamed up with Holmes for a cocktail party at Mims's house; the chef served grilled oysters with Tabasco-leek butter and pickled Gulf shrimp with spinachcrème fraîche dip. As we chatted over bourbon-and-grapefruit cocktails, it became clear that what connects us all is the food pulled from the earth in the place where we live. Paula Disbrowe is an Austin-based food writer and the senior travel editor at Southern Living magazine. 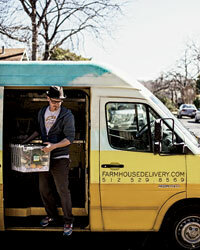 Only Austinites can subscribe to Farmhouse Delivery, but here's how to get a taste of the Austin scene. Farmhouse Delivery owners Stephanie Scherzer and Elizabeth Winslow. Photo © Jody Horton. 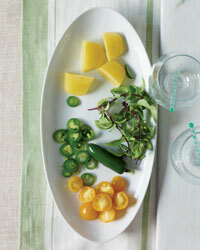 The CSA's blog features recipes that use seasonal produce and local specialties like Texas olive oil. farmhousetable.wordpress.com. 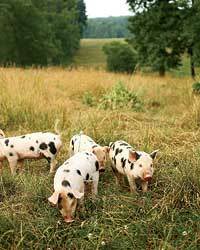 The farmers host tours and alfresco dinners; to learn more, visit Rain Lily's Facebook page. A farm stand is open once a month, except on the hottest days. Chef James Holmes, a Farmhouse Delivery customer, creates updated versions of classic American dishes at his Austin restaurant and hosts Farmhouse Delivery Happy Hours. Designer Nancy Mims sells fanciful organic-cotton fabrics, wallpapers and totes.